Richard Brophy is an outstanding individual who strives for academic excellence. Straight from his undergraduate studies, he began graduate school. Although, Brophy was on the fast track, his best advice is to pursue graduate school when you’re ready. 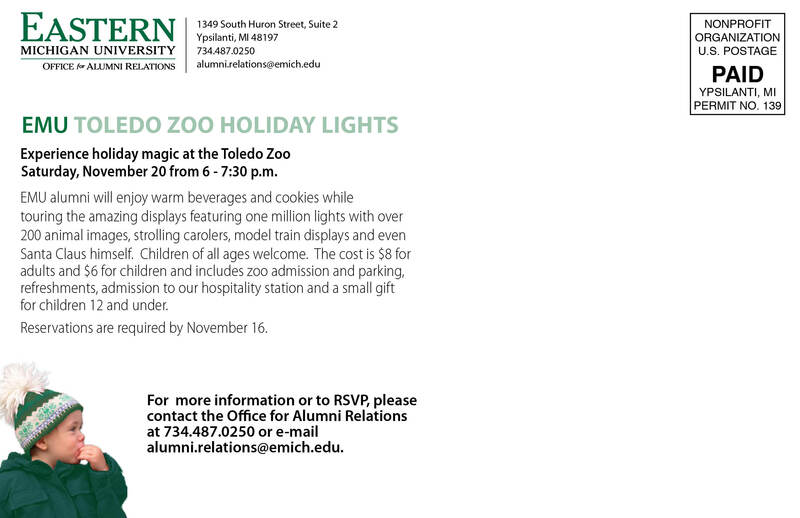 He graduated from EMU in April 2008 with a Bachelor of Science in communication and theatre arts. Mr. Brophy went on to complete his MA in Communication Studies at the University of Alabama this past May. He is now working towards his PhD in Rhetoric and Discourse at the University of Iowa. During his four-year undergraduate program, he was a member of the forensics team. His most emotional experience at EMU was his junior year when the forensics team won three national championships, multiple national finalists and a silver trophy for being 2nd in the nation! This was a huge accomplishment for the forensics team and he is most proud of this moment. Mr. Brophy stresses how important it is to market and differentiate yourself from others. “I like to think of EMU as the school of hard knocks, and the experience of being at a blue-collar, state institution prepares you for meeting and working with real people (and ultimately impressing them) better than any expensive college could,” Mr. Brophy said. Fresh out of college, thousands of people have the same education and qualifications but what makes an individual stand out? Brophy says you have to be tough to survive and thrive. He would suggest separating yourself from the crowd and pursing every opportunity open to you. Being a great listener, marketing yourself and being involved in student organizations and other extra-curricular activities are the most important things he would advise any student entering any job field. It’s never too late to be involved and volunteer your time to organizations willing to give the opportunity to students. Check out Richard when he was profiled in 2005 related to his Presidential Scholarship. I have an AMAZING opportunity for YOU! On Tuesday, Nov. 30, 2010, SOAR (Student Organization for Alumni Relations) is hosting its FIRST Career Development Workshop for current students. The focus of the event is job preparation and how to be successful alumni. From 3-3:30 p.m. we are having a networking social with alumni and current students. It is the PERFECT chance to connect alumni and students. Any one who is interested in sharing their story with students, answering questions students have and giving them great advice is encouraged to email Katrell Duncan at kduncan4@emich.edu by Nov. 15th. I hope to see some of you there!! Eric Canong Divinagracia offers a Global GOLD entry discussing his experience at EMU and return to the Philippines. Eric received a Master of Arts in Arts Administration in 2010 and was a resident of Hill Hall in 2008. What are Global GOLD stories? Raw, adventurous, and timely. They are related to the ways our alumni make an impact related to global social, cultural, political and environmental causes and concerns. The views presented are representative of the author only and not the Office for Alumni Relations. 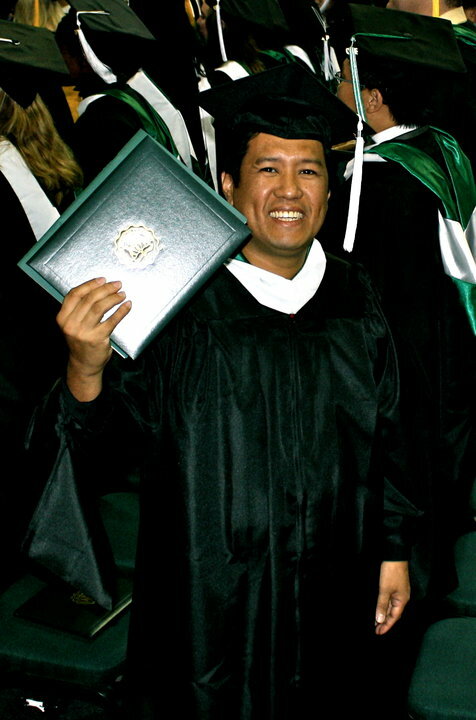 Eric Divinagracia (MA10) at Commencement. 2008. Iloilo City, Philippines. Manila. Tokyo. Guam. Hawaii. Detroit. Ypsilanti. Eastern Michigan University. Finding a home at Eastern. One of the first things I did upon arriving at EMU, just a few days before the opening of Fall 2008, was to check with the OIS (Office of International Students) if there was any Filipino in the campus. I was thinking that if I had a kabayan (countryman) to hang around with, I could feel at home. Compared to other nationalities, there aren’t many Filipinos in the campus. (The ones that I met in the course of two years – too few that I can count them in one hand – have been around the US since they were kids. I would know outright since they speak with a noticeable American twang.) This did not mean however that I was alone. One my first and lasting impressions of Eastern is that you get connected to people. As the days turned into months and one season to the next (there are only two in my side of the world), I got connected to the university and the community even more. All I needed do was to head to the Student Center, have a seat somewhere between Starbucks and the Admissions Office and soon I’d be waving at a familiar face, getting introduced to a new acquaintance, talking with a classmate or laughing with the friend. And now to business – the arts. I pursued a master’s degree in arts administration at EMU under a grant from the Ford Foundation International Fellowship Program (IFP). I came with the expectation to gain practical and professional training that merges aesthetic sensibilities and business acumen to sustain the arts. This I did, not only with course work but also with a number of projects and a summer internship. 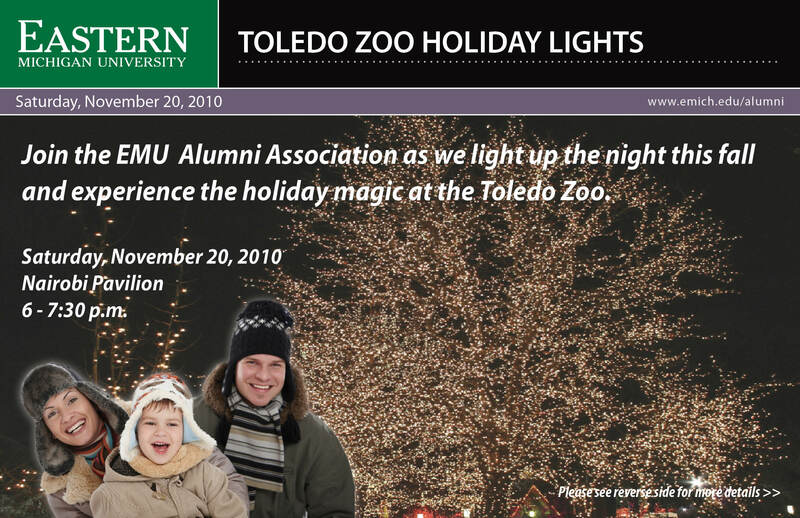 During my years at EMU, I had the opportunity of managing AMP, EMU’s arts festival and an academic service – learning (AS-L) project for the Arts Management Class under the able mentorship of Susan Booth. At AMP, I coordinated artist selection (even if I’m new to both the university and the country) and programming for two years. I was also selected to do a graduate research presentation on AMP with two of my classmates Katie Musick and Courtney Fitzpatrick, picked as a teachers assistant for the following year and served as vice president of AMPlifying the Arts at EMU, a student organization for arts management/arts administration majors. I also directed the annual cultural show of the International Student Association, working with nearly a hundred international students at EMU. At the end of Winter 2009, I was invited by the EMU Center for Student Involvement to help facilitate “From the Ground Up”, a leadership training for officers of various EMU student organizations. With the guidance of my professor Ken Stevens (to whom I am grateful), I was qualified for a Summer 2009 internship at Symphony Space, a cultural center at 95th and Broadway in New York City. I took notes as the development department where I worked positively pushed to be aggressive and creative, taking the mantra “education, cultivation, solicitation” steps further, from the virtual to the practical. I also got to know more of the ever-changing Upper West Side as the point person of the institution’s Neighborhood Rewards Program. In between coursework, projects and the internship, I spent time learning from cultural centers, museums and theaters. I have watched quite a number of plays in theater districts in Chicago, Detroit and New York and visited more than 25 museums across 10 states. These priceless opportunities have become a wellspring of inspiration that will surely keep me creating in the years to come. 2010. Ypsilanti. Ann Arbor. Chicago. Detroit. Los Angeles. Seoul. Manila. Iloilo City, Philippines. Home and the days to come. I got home in the last days of Spring of 2010 just in time for classes to open at the University of San Agustin (the other USA). I readily reported back to my alma mater where I have been teaching since 1996. I entered the University President’s office with a paper that says that I have satisfactorily completed the degree MA Theater Arts – Arts Administration at Eastern Michigan University. In June 1, 2010 I was back to work. I now run the Office of Co-curricular Activities (equivalent to EMU’s Campus Life) the Center for Culture and the Arts (USACCA) and our university’s Little Theater (USALT). (My capstone project was a strategic plan for the USALT.) Looking back, I could attest that my brief but fruitful years in the arts administration program deepened my understanding of running an arts organization and festival, addressing both the A (Arts) and B (Business) side of A. With what I’ve learned from my arts management classes i.e. programming, marketing, fundraising (or friend-raising), I was able to run a theater season (staged four of six productions with houses to its capacity), direct a musical revue of 240 performers and a major concert with a national headliner, coordinate four arts exhibits, and manage a week-long university festival, all in the span of four months. In the semester to come, it is my hope that I could initiate a weekly arts program, stage a poetry-in-motion of contemporary works and a dance drama from ancient roots and run two university festivals before the school year ends in March 2011. But these past days, as I have been looking at my pictures at EMU and elsewhere in the US and rereading my writing projects in grad school, I know that I can face these challenges with a smile. Has it been two years and two months? I guess it’s true what they say, time flies when you are having fun. At Eastern, I did. And because of Eastern, I’m back home having fun. Share your Global GOLD story, contact Dan Mathis at dmathis@emich.edu. This is the third entry to the Global GOLD series written by Jon Maravelias (BS10). 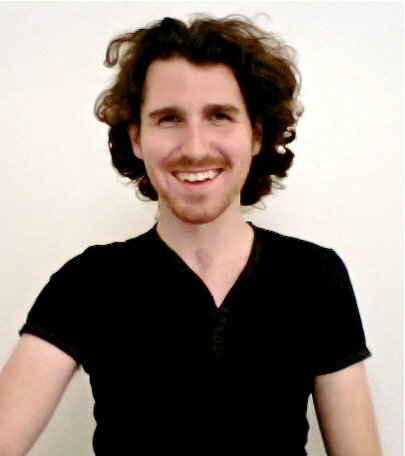 Jon is the Office Manager for a Non-Governmental Organization (NGO) called NaDeet based in Namibia, Africa. In this post, Jon shares one of his adventures – including emergency medical care! Read below and for more information about Global GOLD scroll to the bottom of this post. I found myself sitting in a strange room in a strange chair with strange stains. This room was that of a doctor’s, but it looked like the office of mad-man. A short old man had been pacing outside the door for a few minutes and then entered the room clearly in a hurry. He grabbed my hand and put it on the cold, metal table in front of me. He squeezed my thumb and quickly left. Four days ago, I had jammed my thumb while karate punching and kicking our unrecyclable rubbish into an incinerator in the middle of the desert. Some blood had pooled under my nail and then it got infected. I didn’t sleep for three nights because the pressure was agonizing, but since I thought I had just broken my thumb, I kept it in a sling and assumed it would get better on its own. When I showed Andreas, the Technical Director at NaDEET, he agreed to take me to a doctor in Mariental, a small town about three hours out of the Namib Desert. The doctor comes back in. He says something to me in Afrikaans, then pulls out a drill bit. He begins drilling into my nail, and then he hrabbed this instrument that looked like scissors with hooks on the end of each blade, but the opened out instead of in. Without even warning me; without even saying “Hello” for f-sake he put the hooks under my nail and ripped it off! I winced, but compared to the pain before, this felt good. He then left again and put my other hand on top of the gauze to collect the blood and pus leaking out. He came back with antiseptic, pointed to it, then pointed to my thumb, then help up two fingers and said “a day…”. He showed me out while laughing and patting me on the back. This sick deranged man, I thought. This twisted event ended up costing N$400, or about $55 U.S.D. Just think, if I had gone to a doctor in the States, this would have cost $200-300 and taken five hours. On the way back, we had to pick up a man’s wife in Mariental and drop her off in the next village, Maltahohe. Delirious from pain killers and traumatized from freak back-alley doctors who have a good sense of time management, I wasn’t prepared for the neighborhood we were about to enter. Imagine an acre of land, crammed with over 100 houses the size of one-car garages made out of tin. This is called “Shantytown” and it is a consolidated housing project built during the apartheid by South Africa for black Namibians to be “with their own kind.” This was basically the inspiration for District 9, which I find somewhat of a very sad movie now because in all sociological aspects, it’s spot on. Now if only I could have an armored robot that magnetizes bullets and shoots awesome guns and can catch a rocket…mmmm. Anyway, as we drove through, a group of about 25 kids chased our truck, slapping it, climbing on it, spitting on it, and throwing rocks. As you could imagine, my head was swimming in a pool of nonsensical fantasy and I couldn’t interpret whether or not this was hostility or just a strangely good time for the kids. I looked at Andreas and he was simply driving with his arm out the window, laughing like a mad man and saying “Hello” to everyone we passed. We dropped the girl off, which seemed to ease the tension a little bit on the locals’ part, but we didn’t necessarily want to stay for tea and coffee. “Can we go?” I asked, seeing the ultimate opportunity for unchallenged anthropological instigation, as well as the experience of buying a drink in a true “dive” bar that never stand a change of being polluted by hipsters. “No, we’ll get stabbed,” Andreas replied. Since I had to pay the doctor in cash, I couldn’t test this prediction of his. I haven’t written in a while and it’s time again to give some updates on what is going on for the Graduates of the Last Decade. Well, the GOLD Council is shaping up nicely. I mailed out the “congratulatory” letters and I’m waiting for confirmation from the first group of members. It’s an exciting time and I’m trying to hammer down the agenda for the first meeting. We are going to go through a process of assessment – to truly identify key themes and focus areas related to recent graduates. I’m going to maximize the brain-power of these individuals…I don’t think they are quite ready… :). It is important that we identify the wants/needs of recent graduates – and go beyond simple surveys and include qualitative data in our understanding. I know they will be up to the challenge, the talent brought by these first individuals is quite impressive. In other news, my new intern, Miaisha, and I have been pondering the ways we connect students and alumni. She is a highly motivated, graduate student who is spear-heading our outreach to current students through the Student Organization for Alumni Relations (SOAR) and other student outreach efforts. She will be calling on you – GOLD Alumni – for support and ideas. And, also looking for your time – your volunteerism to inspire and coach current students. Watch out for more to come! Thanks for checking out our blog and keeping up to date on our activities. As always, contact me with any questions. Alumni Chapter of the Year presentation at Homecoming, 10.2.10 (that's me on the left!) 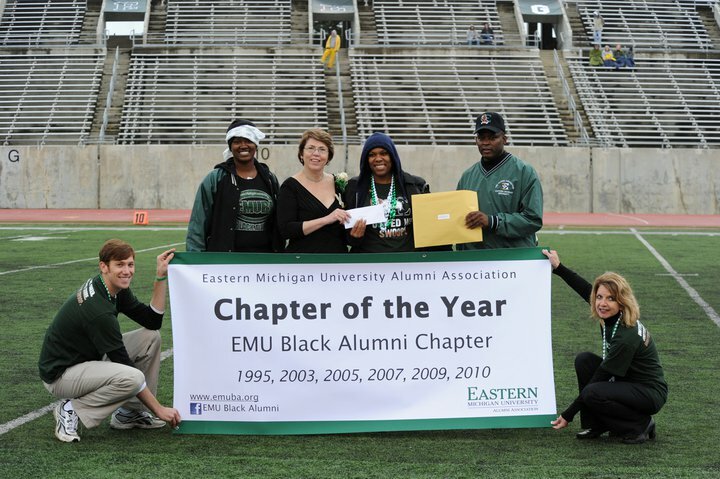 Congrats EMU Black Alumni Chapter! !